Sony RX10 IV Improves HFR Resolution! As expected Sony has released the RX10 IV super zoom camera. 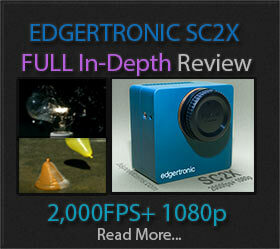 It is a good update to last year’s RX10 III which had a maximum HFR recording rate in quality priority of 2 seconds. This new model is, in essence, the exact same Sensor and HFR spec combination as the excellent Sony RX100 V which was our camera pick for 2016 when it came to price/performance for high-speed recording. The RX10 IV has, however, a brand new AF system with 315 AF phase points in total with also 25 region contrast AF areas for extra accuracy. The camera is mostly identical to its predecessor in appearance with improvements and refinements like a better screen and improved weather sealing. However, the imaging system processing is the exact same upgrade we saw in the 2016 RX100 V.
As you can see from the HFR frame rate and resolution tables above, the RX10 IV is an improvement in HFR resolution compared to the RX10 III but it is exactly the same as the very good RX100 V of 2016 which we fully recommend. The new camera has the improved AF, long reach 24mm-600mm fixed lens and speed refinements to be an RX100 V on steroids with the same recording time in HFR modes from 240fps to 960/1000fps. The resolution increase in HFR mode is good but considering the camera is now $1,698.00 instead of the $1,499 of the RX10 III when launched; we expected a lot more improvement above what the $999 RX100 V is capable of. The RX10 IV does have a larger and deeper still image buffer at 249 frames of full resolution 20MP buffer at 24fps continuous shooting or 10 seconds worth. The RX100 V has a 149 image limit buffer for instance. There is no question the AF system in the RX10 IV is a beast, you will be able to track and shoot very difficult subjects. Seems very close to the impressive a9 AF module we saw earlier this year. The speed and accuracy of the AF it full 4k resolution and in the still image spec at 24fps will bring new levels of performance to the pro-sumer camera segment. The slow motion component of the RX series cameras has never disappointed and the RX10 IV continues that trend of performance over the competition in compact portable cameras. We see the same great quality that the RX100 V manages but with the benefits of a wide to super telephoto lens attached. The Sony RX10 IV is an excellent camera from whichever angle you try to pick at it. It does almost everything very well but it does have a few problems. The tilting screen is not a complete tilt/swivel vari-angle one which is what videographers really crave for. The next issue is the HFR performance is stuck at 2016 levels with the sensor and image subsystem being nearly identical to the excellent RX100 V which is not a bad thing in itself but at $700 dollars more you are paying for buffer depth, lens, and the new AF system. We feel it could have had an edge in resolution. 4k 60p is also missing from this camera which seems a big oversight considering cameras like the GH5 in the same price range have it along with 10 bit 4:2:2 recording. Sony is recycling the technology of the RX100 V which is understandable as creating a stacked sensor combo takes a lot of money, engineering and time to ship. Using it in more cameras makes sense to recoup the costs. It is not as if the competition is anywhere close in slow motion. We are now expecting an RX100 VI to debut a better chip-set with longer recording times, higher resolution HFR modes and possibly 4k 60p. We will wait for more RX10 IV footage before ranking it in our camera guide but if the quality is at least as good as the RX100 V which it should; expect it to be ranked high up. We still recommend that camera as a great option if your budget is more restricted. However, if you are in between the RX100 V and the new RX10 IV with the funds to buy either one, we must recommend the new model with the better reach lens and improved AF. The Sony RX10 IV is available for pre order from Sept 14th 2017 for $1698 USD. RX10 IV Adorama Pre-Order Link and Product page Here! Previous PostOlympus OM-D E-M10 III has 120fps 720p Mode!Next Postfps2000 & fps4000 Camera Line Specs Released! Which Mainstream Mirrorless Camera Co. Will Offer The Highest Frame Rates? Terra 4k Firmware Update Allows 320fps 2k! 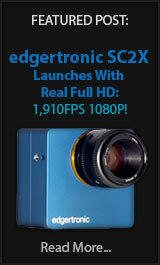 Chronos 2.1 HD Shoots 1000fps 1080p For $5k! Chronos 68 Posted by Krontech, April’s Fools or legit? Sony RX0 II Slow Motion The Same With New 4k Internal! Galaxy S10 Slow Motion Video Samples! Blackmagic URSA Mini Pro 4.6K G2 Has 300fps in RAW! Sony Xperia 1 Continues 960fps FHD Legacy! Galaxy S10 Slow Motion Recording Is Slightly Improved! The Latest on Hi Speed Affordable Imaging! BEST SLOW MOTION CAMERAS OF 2016! Galaxy S8 Slow Motion Underwhelms! BEST SLOW MOTION CAMERAS OF 2017! Five Best Slowmo Cameras of 2015! How To Eliminate Flicker in Slow Motion Video Part 1! Sony a6300 delivers 4k Plus 120fps FHD Slowmo! iPhone 7 Slow Motion Remains The Same! URSA 150fps and Mini 120fps 1080p! Sony RX100 V Has Extended Slowmo Mode! admin on Galaxy S10 Slow Motion Recording Is Slightly Improved! Giznp on Galaxy S10 Slow Motion Recording Is Slightly Improved! Giznp on iPhone Xs Slow Motion Official Apple Sample! admin on fps1000 Platinum 500fps first user footage! zhangxiqian on fps1000 Platinum 500fps first user footage!